Vizit Pro requires you to use a Browser Mode of "Compat View" and a Document Mode of "Standards". The "Compat View" will correspond to the current version of IE you are using. For example, if you are using IE9, the Browser Mode should be set to "IE9 Compat View". 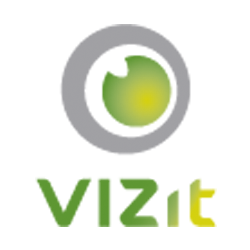 Vizit Pro dictates to the browser that it should be loaded using these settings; however, Internet Explorer can override these settings in certain scenarios. One of these scenarios is whether or not the site is being accessed is part of the Internet or Intranet zones. By default, sites in the Intranet Zone will be loaded in Compatibility View, while sites in the Internet Zone will be loaded without Compatibility View enabled. With Vizit Pro open, press the F12 key. This will enable the IE Developer Tools. In that window, note the current Browser Mode and Document Mode settings. If they are not set to "Compat View" and "Standards" as described above, change them and the page will reload. These settings can be set permanently by adding your SharePoint site in Compatibility View Settings. To access this area, press the Alt key in Internet Explorer to enable the menu. Choose Tools > Compatibility View Settings. In addition to configuring these settings on a per-browser basis, they can be deployed via Group Policy. The name of the administrative template for Compatibility is called "Use Policy List of Internet Explorer 7 Sites". In your Group Policy Editor, filter on the word "Compatibility" to find it.